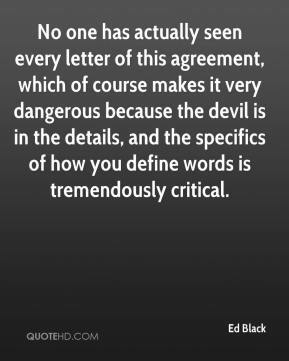 No one has actually seen every letter of this agreement, which of course makes it very dangerous because the devil is in the details, and the specifics of how you define words is tremendously critical. He can be very tough. 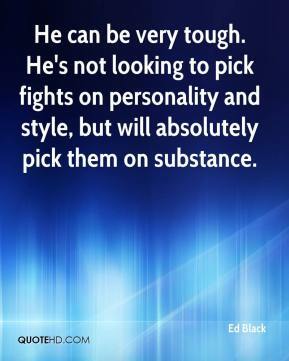 He's not looking to pick fights on personality and style, but will absolutely pick them on substance.